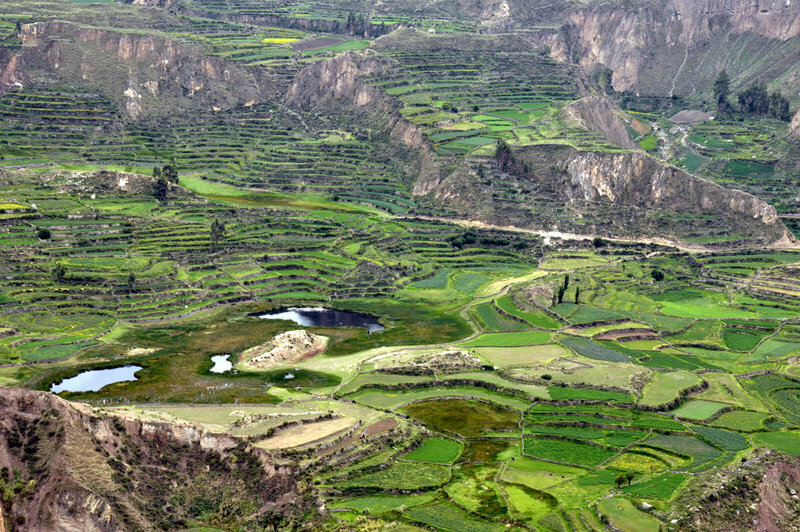 The Colca Canyon and Valley constitute one of Peru’s most dramatic and spectacular natural landscapes. 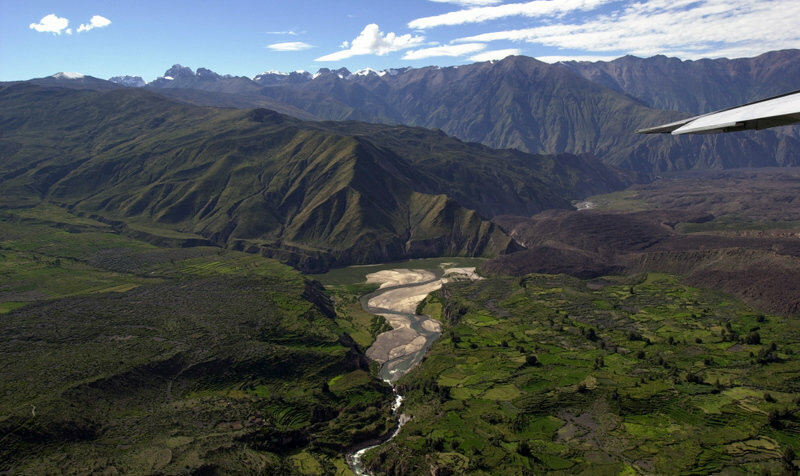 The Colca River, considered by a National Geographic survey to be the source of the Amazon, cuts a sensational scar through the mountains for more than 50 km (31mi) and is surrounded by a lost paradise of Spanish Villages. 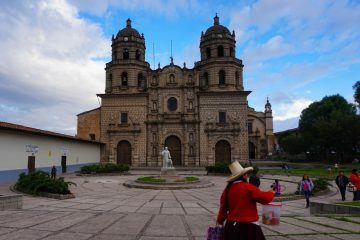 Their churches still stand despite being battered by earthquakes, and their women still dress in their traditional voluminous Andean skirts and colorful hats. 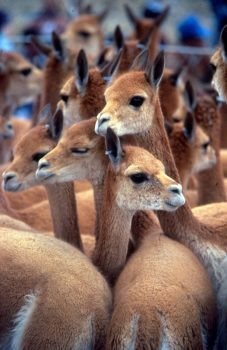 Best visited in combination with Arequipa (4 hours away by car) we recommend 3-4 days exploring this beautifully picturesque environment. The Colca Canyon (3,650m/11,975ft) & Valley are paradise to nature lovers and cultural enthusiasts. The Colca Valley is 300 kilometers (186 miles) north of Arequipa, and holds one of the world´s deepest gorges, cut by the Colca River, which flows 400 kilometers (250 miles) from its source at 4,500 meters (14,700 feet) above sea level. 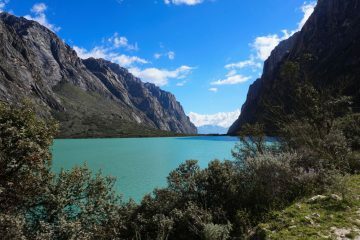 The canyon stretches over 100 kilometers (over 60 miles) long and is lined with majestic snow-topped peaks, many of which are volcanoes, including Coropuna (6,425 meters, or 21,000 feet) and Ampato (6,325 meters, or 20,700 feet). 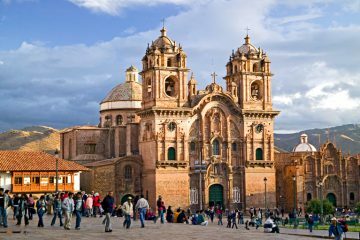 The region of Colca is little visited compared to the other main destinations in Peru, like Cusco and Machu Picchu, yet boasts equally enticing highlights such as the famous giant condors, gorgeous trekking, and natural thermal hot springs. 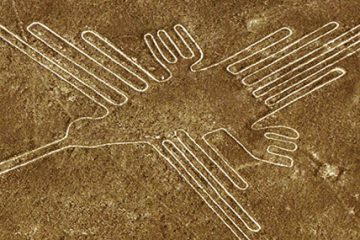 The Colca Valley presents visitors with endless surprises, as it is replete with fascinating archaeological remains such as Madrigal Chimpa Fortress and Uyo Uyo, agricultural terraces, and local traditions, many of which date back to Colonial days and even earlier. Colca is home to the Andean condor, one of the largest land flying birds in the world with an average wingspan of 3m (10ft). They are most commonly visited at the Condor Cross view point, on the Colca Canyon. 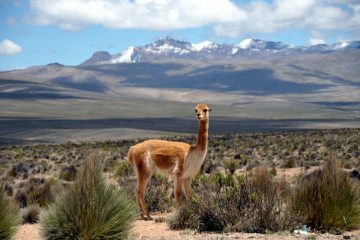 The rising winds in the valley are strong, which the spectacular condor takes advantage of to glide up and down this imposing and magic corner of the Andean Cordillera. 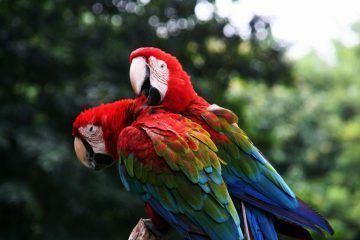 Aracari can provide details on the best time of day to see condors depending on the season, contact us for more details. 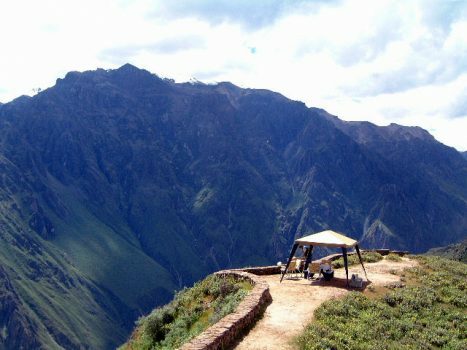 Thanks to the seismic activity of the region, the Colca Valley is sprinkled with natural hot springs, or thermal baths, where locals and tourists alike can relax in the warm embrace of Mother Nature. The hot springs vary in temperature, and are rich in sulfur, lithium, or iron, and thought to have medicinal healing properties. 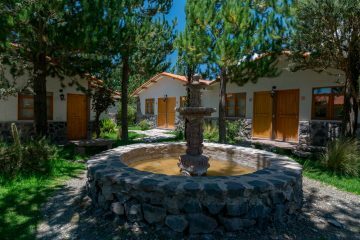 While most springs are open to the public, Colca Lodge has the advantage of having its own hot spring pools. Each are at different tempreatures, overlooking the river and ideally located next to the bar! 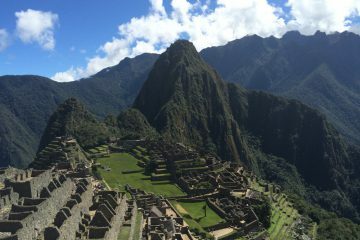 There is plenty of hiking available for all types of trekkers. 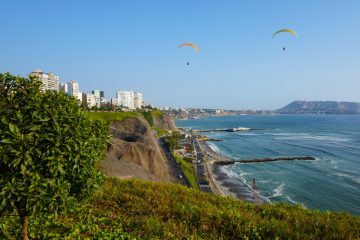 From a gentle acclimatization walk to Uyo Uyo Ruins, to a gorgeous moderate hike through the Canocota Canyon, to a steep trek to Madrigal Chimpa Fortress and lookout point, no matter where your feet take you in the region you won’t be disappointed. 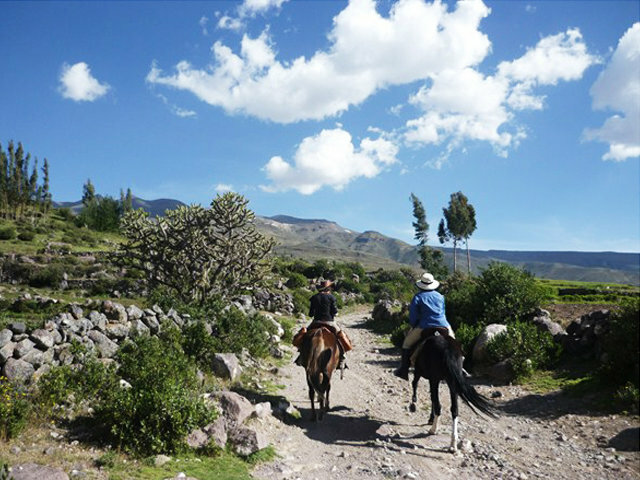 Enjoy the mountainous landscapes of the Colca Canyon and Valley on the world-renowned Peruvian Paso Horse, declared Cultural Patrimony by the National Institute of Culture. 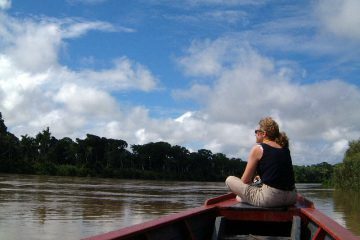 A half day Coporaque, full day Achoma, and multi day horse riding trips can be arranged with Aracari as a part of a larger, tailormade trip to Peru. 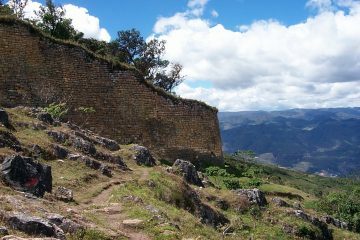 It’s also possible to horseride up to Madrigal Chimpa Fortress. 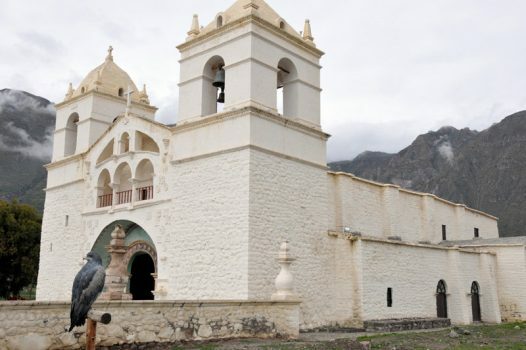 The fourteen Spanish villages in the Colca Canyon & Valley each boast a church with an impressive and surprisingly rich Baroque interior. 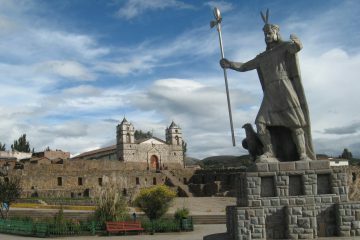 Catholic faith with a deep seated Andean undertone is strong in the Colca, and festivities are celebrated with great fervor. 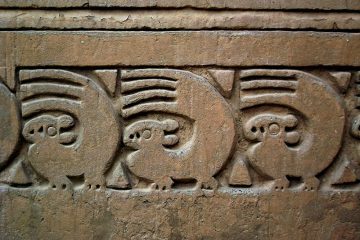 If you are interested in Peru festivals, contact us for more details on the best time to visit. Colca is the home of the Cabana – Quechua-speaking valley people and the Collagua, highland people. Each wear a distinct type of hat. Their ancestors have lived in the Colca since Pre-Inca times as evidenced by the agricultural terracing — in continuous use for over 1,000 years — that covers most of the Valley and forms a giant, sculptured landscape. 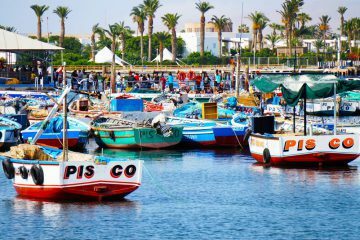 Learn about the locals by participating in their daily tasks such as farming, tending the animals, and cooking. 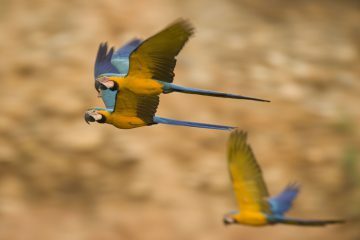 Situated in intimate natural settings, Aracari recommends a stay at either Colca Lodge or Belmond Las Casitas when visiting the Colca Canyon & Valley. 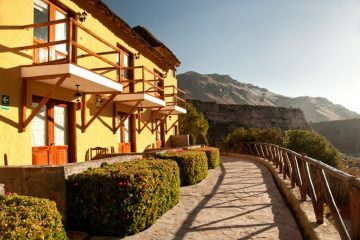 Colca Lodge is perfect for stylish explorers, located right on the river with private, natural thermal bathes and humbly comfortable rooms while Belmond Las Casitas is the right choice for luxury seekers, with spacious private villas and luxurious accommodations and amenities. Check out our roundup of the best luxury hotels Colca for more details and other options. 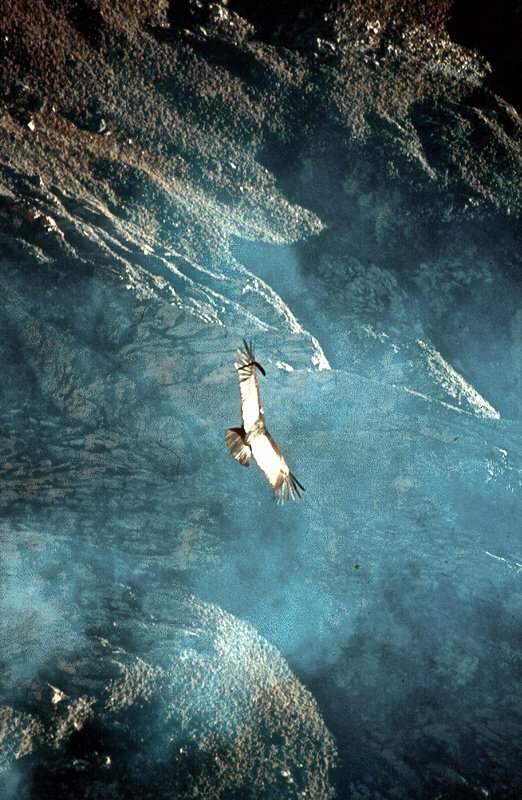 The Colca Canyon is most often visited in conjunction with the city of Arequipa. 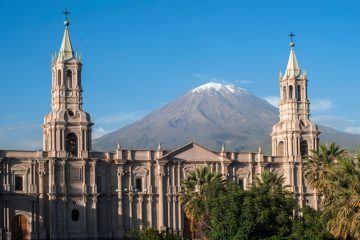 There are daily flights from Lima and Custo to Arequipa. The Colca region is located about a 4 hour scenic drive away from Arequipa For those who prefer luxury train travel, the Belmond Andean Explorer connects Cusco, Arequipa and Puno – guests can disembark before the train reaches Arequipa at Kilometer 93, which is only a 90 minute private transfer from the best luxury hotels in Colca. 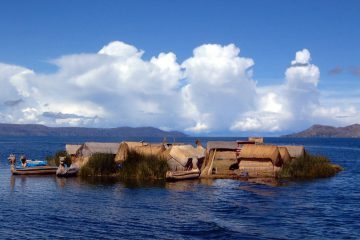 The other main arrival route to Colca is from Lake Titicaca, which connects by road. 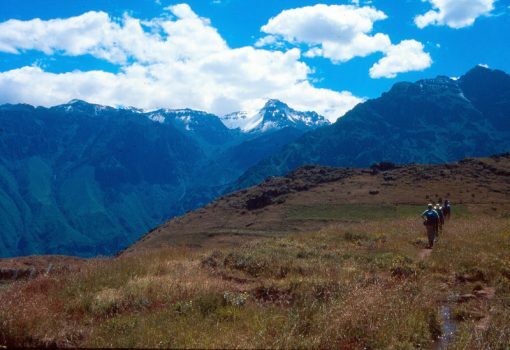 In line with the typical weather in the Andes, the Colca Canyon is subject to a rainy season from December-March. 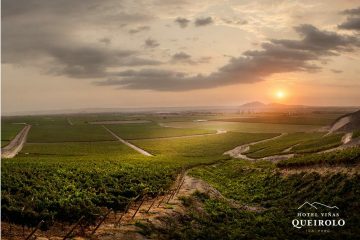 The area is best visited from April-November, when the climate is hot and sunny almost everyday. Keep in mind that shoulder months (April and November) can also see rain in wet years. 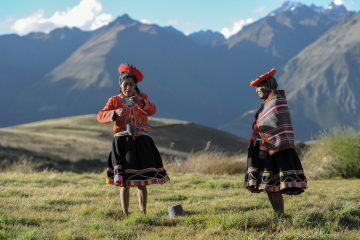 Contact us for details on a luxury, tailormade trip to the Colca Canyon. 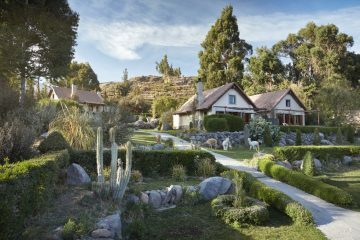 Belmond Las Casitas is the most luxurious property in the Colca Valley, comprised of spacious individual villas. 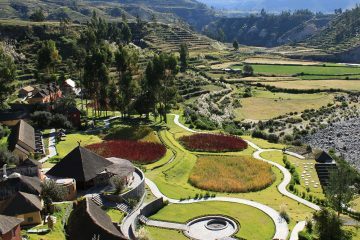 The other side of the river, Colca Lodge offers an idyllic scenic setting, overlooking the river and home to its own private hot thermal baths. These are undoubtedly the best two hotels in the area. 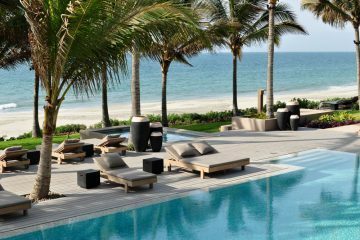 Here we share the best options to suit different budgets and styles.